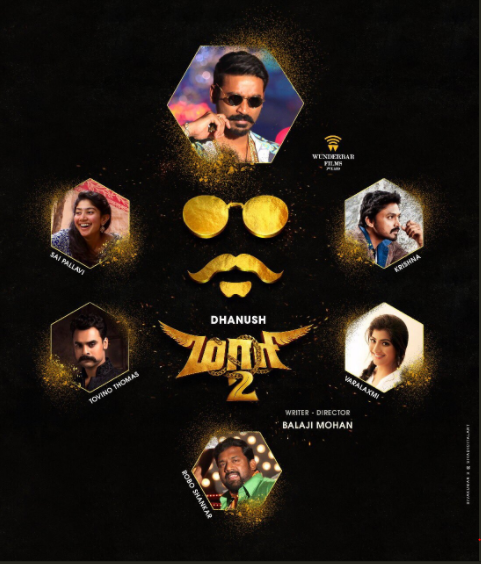 After the super-successful film Maari, director Balaji Mohan and Dhanush are once again coming together for its sequel- Maari 2. Balaji took to twitter to update fans about the film. Director Balaji Mohan and Dhanush are once again coming together for its sequel- Maari 2. The movie will release later this year and the pending shoot will commence after the strike of Tamil film producer’s council against the digital service providers ends. The bilingual movie is simultaneously being shot in Tamil and Telugu. Dhanush will be seen pulling off stunts and dance numbers in the much-awaited film. Fida fame Sai Pallavi stars in the movie as the leading lady opposite Dhanush. In Maari 2, Malayalam actor Tovino Thomas will be seen playing the antagonist and will also mark his debut in Tamil film industry. Varalaxmi Sarath Kumar, Kreshna, and Robo Shankar will be playing pivotal roles in the movie. For now, Dhanush is busy with director Vettrimaran’s Vada Chennai opposite Andrea Jeremiah. He is also the producer of Superstar Rajinikanth starrer Kaala.